Here is the list of best rated RTG-powered online casinos. In many ways, they are pretty similar, especially in terms of game menus and operation. However, there are certain differences that could possibly make a difference for the gamers. Intertops, operated by Thinkquick Ltd is a casino with a long and well-established reputation. The casino started its land operations in 1983 in London, and it is the first phone-in and postal bookmakers. 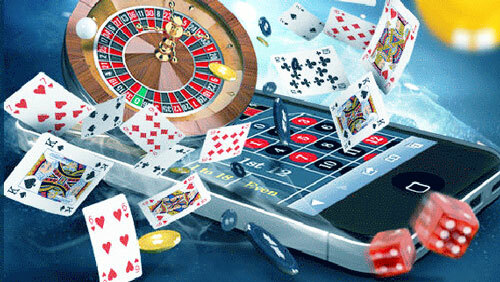 As early as in 1996, it went online, becoming one of the pioneers of the online gambling industry. On January 17, 1996, Jukka Honkavaara from Finland wagered $50 on Tottenham Hotspur on Intertops site. Intertops uses a good slogan: “Trust The First!”, emphasizing the fact that they were among the first to introduce welcome bonuses and online wagering. Like the majority of RealTime Gaming casinos, Intertos accepts players from the US. The casino’s offerings include more than 100 games — a wide selection of slots (3-Reel, 5-Reel, Real-Series), multi-hand video poker, and just video poker, and a broad variety of table games. You can download the software and play the whole line of the games offered. Alternatively, you can play instantly, using flash, but the selection of games will be a bit limited in this case. Progressive jackpot lovers would be glad to play Midlife Crisis and some other slots. Other progressive jackpots are for poker players at Let’em Ride and Caribbean Stud poker games. There are several progressive jackpots available for slots lovers, such as Midlife Crisis, Jackpot. Payment options are flexible, including credit cards, e-wallets, and wire transfers, and even Bitcoins for deposits and withdrawals. Many more gamers switch to e-wallets these days as this method is relatively faster to withdraw money. Another nice feature of Intertops is 24/7 customer support accessible via live text chat, e-mail or phone. As one of the most reputable online casinos, their key features of Intertops include security, transparency, data protection, and responsible gambling safeguards. While it is registered in the Caribbean, in the St.Kitts jurisdiction, which is not the best-regulated place for the casinos, Intertops still do stick to the best practices, consistently publishing the results of their independent international audit, and listing payouts and house edge for different game categories. Casino Brango, under the jurisdiction of Curaçao, was established in 2017, as operated by Anden Online N.V. It is a nice new casino, run by a company with a proven record of good service and fast payouts. As many other sites powered by RTG software, they have a more or less similar selection of games on offer. Brango is a new casino, and their management is obviously trying to follow or maybe even to shape the newest trends! Brango encourages gamers to play instantly using flash; however, old-school Windows downloadable games are available too. Their mobile platform is android-friendly and very practical, and it supports smartphones and tablets, and the games are optimized for the screen size. The variety of games is wide, with video poker, parlor games, keno, several variations of blackjack, and many more. The biggest section of the menu is represented by various slots — both classic and video. Even though some of the slots have certainly come of age, they are still on the roster, as there still are many players who are eager to play them. Another point of attraction at Brango is that there are many progressive jackpots, some of them even hitting seven-figures! 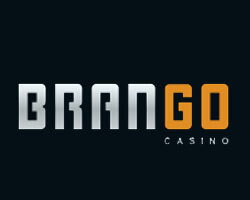 Brango has one of the best and newest banking systems among the other US-friendly casinos. Bank transfers, e-wallets, bitcoins, and credit cards are accepted. You can make your deposit in bitcoins; they are converted into U.S. dollars when you play, and then back to bitcoins when you withdraw. Bitcoins are the fastest for the payouts. E-wallets can also provide a very fast form of payout service. The win withdrawal limit per week is $4000, but progressive jackpots are paid out in a lump sum. There is nothing special about their customer support — still the same friendly 24/7 service you’d generally expect, which is accessible through live chat, e-mail, and phone — just the industry standard nowadays! The same relates to security, transparency, data protection, and responsible gambling procedures. And just like other responsible sites, Brango uses SSL encryption to protect the personal data and financial information of its customers. Brango has got a Curaçao jurisdiction, which is just a popular dodge for online casinos accepting US players. Yet another new casino with a Curaçao gaming license might sound alarming as there have certainly been some ‘rogue casino’ cases around, but you should check the reputation of the operating company. For Casino Brango, it is Anden Online N.V., which has earned a good reputation running Casino Extreme. This casino has been in the business for over 20 years — however, there were different owners at the start, and the company gained something of a bad tracked record, as the terms and conditions were quite unfair. But things changed as Anden Online N.V. took over and began to rebuild the reputation. Extreme’s website is very attractive, offering easy registration, as well as a choice either to play instantly or to download software. There is also an option to access the platform from different mobile devices. Intertops have a huge gaming roster, and the games are pretty much the same as the best RealTime Gaming casinos have, including some games which are lower quality or less popular, but that, still with the customer base required to keep these games alive! Not all the games are fully playable on your mobile devices, and you may want to use a big desktop screen, so you can finally get the big gaming experience you’re craving! There is some pretty cutting-edge banking support too, with e-wallets, transfers and credit card options to deposit and withdraw. The transaction speed is also satisfactory. And more: with e-wallets and bitcoins it could well be the highest! The casino claims that such withdrawals are processed instantly. Perhaps it is, as discussed on gaming forums: a couple of minutes for e-wallets, versus a couple of days for bank wires. Payout limit $4,000/week is also standard, or rather average, for RTG casinos, with progressive jackpots being paid at once. Security, data protection, and fairness have improved across the entire industry recently. 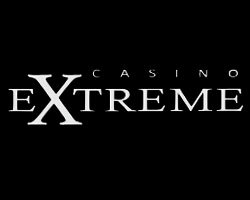 But for Casino Extreme it was a major shift that has radically improved the image of the casino under their new management! However, there is still room for improvement on the topic of responsible gambling issue.The gamers can set daily, weekly or monthly limits, communicating them to the support service; but more sophisticated self-control online tools have yet to be implemented. Established in 2017, it is managed by Entertainment Software Group NV (Curaçao jurisdiction). 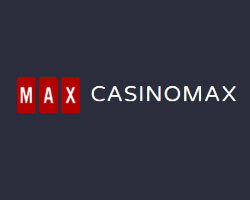 This new casino, launched by previously well-known owner of the Club World Group of casinos, is very popular among players from the U.S.
Like many other US-friendly casinos, CasinoMax runs on RealTime Gaming software. The site is not too complicated; both PC and Mac operating systems are supported, and the focus is on convenient mobile platforms with tons of playable games. There are a couple of hundred games on the menu, including all kind of slots, progressive jackpots, and bonus rounds. A nice inbuilt search engine is very helpful for those who do not want to scroll down the menu page by page. While there still are some older games, newer ones are constantly added, and the gamer can enjoy more complicated and interesting 3D graphics and functional features. A nice combination of smaller and bigger progressive jackpots is in place, including RTG pooled six or even seven-numbered Megasaur and Aztec’s Millions. The casino favorites are blackjack, baccarat, three-poker. Many other table games are also available with lots of playable variants. However, the banking area still needs some improvements. Bitcoin and credit card for deposit and wire or cheque for payouts, by modern standards, look somewhat limited. Bitcoins and e-wallet withdrawals are still pending and will hopefully be available soon. The $25 fee for withdrawals through bank or check, along with the $200 minimum payout, is also outdated, even though a maximum payout limit of $4000 is the average across such casinos. But the bank transfers within 2-5 business days and 48 hours pending period obviously do need an alternative. CasinoMax has very good customer support, and this is especially valuable for those gamers who are not as experienced, as a lot of questions about the bonus system can arise; and while the casino offers many decent terms, these often do need some explanation as well. But it should be noted that bonus policies still do have to be re-adjusted — some of the bonuses are nice, but some others do need to be put in better order. Security and data protection are similar are at a similar level to the modern standards supported by other leading casinos. As far as Curaçao jurisdiction is concerned, it is not expected there will be much regulation of the casino business. But the owner of this casino has gained a good reputation over the course of ten years, so the gamers should be able to rely on the proper practices and policies implemented by CasinoMax. This online casino was established in 2017, and it is operated by Entertainment Software Group NV (Curaçao jurisdiction). Powered by the standard RTG software suite, it offers many nice features for players. The casino has decided to do without downloadable gaming apps and to concentrate on instant play, straight from the gamer’s browser. The mobile versions do not include every game in the long roster, which is quite common. The menus includes over 160 different slots, from the old to the newest ones. The variety of jackpots is also wide, including progressive pots up to six-digit ones. There are many different variations of table games, parlor games, and video poker, which makes the sizeable a real joy to scroll through. Banking options for deposits made with bitcoins, credit cards, and bank transfers are quite quick to use, but payouts might take up to 2-5 business days, depending on the method of payment. Weekly withdrawal limit is the same $4,000; minimum withdrawal is $200 if you choose wire or check. The operator has got a good reputation, with payouts having exceeded those from other casinos for over a decade. Customer support is the same 24/7, live chat, e-mail or phone, very helpful, kind and cooperative, especially for new players who might find have trouble going through the diversified offers of the casino, in an attempt to find the right game to play. 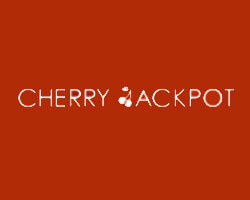 Cherry Jackpot Casino management does its best to provide security and fairness, and to pursue responsible gaming policies. The personal and financial information of the gamers is well-protected. However, if a dispute arises, then as with all other casinos with a Caribbean registration, the gamers should rely more on the reputation of management and operating company than on arbitration. The Entertainment Software Group NV has a very good record, established over many years; and so they can easily be trusted. On behalf of RTG, a company named Technical System Testing audits the fairness and randomness of the casino’s games; but the casino never publishes the audited figures. There is a page on the casino’s site dedicated to the issue of responsible gaming and how to avoid addictive gambling. Unlike casinos operating in highly-regulated jurisdictions, there are no self-administered limits at Cherry Jackpot Casino; so the gamers should contact customer support to address this issue. If you decide to play at a venue from the list of RealTime Gaming casinos, you could only find some small differences in the gaming menu and operation practices, but these differences can be important as you might have certain preferences! Moreover, you should be aware of the Caribbean jurisdiction, and focus more on the reputation of the casino and its operating company than on other minor matters. It is also advisable to check what people are saying in gambling forums about their experience with different online casinos.